I can't tell you how much I love making my favourites videos and blog posts. It's a chance to look back on the month and see what I have been loving and in some cases, what really didn't work as I had expected as well. I love it when products surprise you and Jo Malone fragrance in Amber & Lavender definitely has. It's not my usual type of scent so I wouldn't have purchased it but I received it as part of a Jo Malone gift set at Christmas and I have been enjoying it all month! 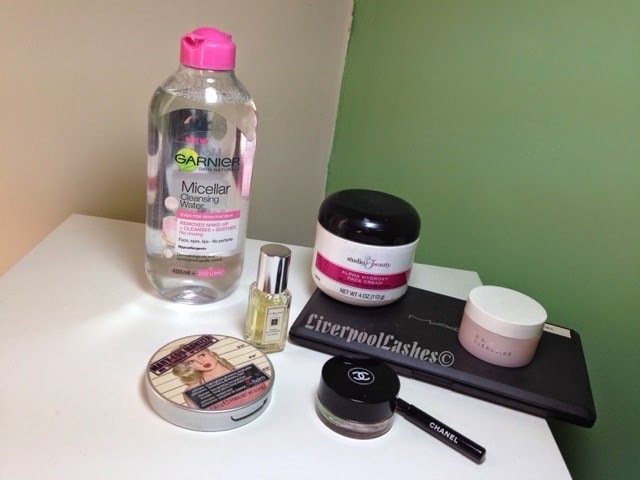 I love the Micellar water, so good at removing make up, and the Mary loumaniser is a fantastic multi use product that I adore. I use it either as a highlighter, or even as an eyeshadow sometimes too.